And as Casey Kasem would say . . .the countdown continues. The 3rd greatest Michael Jackson Song from 1984 is . . . Joining me to discuss this song is Cutie Pie. Please make sure to check out her blog – All Things Michael! for a comprehensive and passionate tribute to the King of Pop. First of all, I will admit that I’m playing a little loose with chronology by including this song on the list. “Say, Say, Say” was released in October of 1983 BUT during the first week of January 1984 the song was sitting at the top of the pop charts. When the year begins with “Mac” and “Jack” at number one, you know you’re in for a great (the greatest) year of pop music. This song is all about pedigree. A Jackson (THE Jackson) and a Beatle team up and record a song at Abbey Road studios. I imagine there was a lot of pressure on this song to be a mind-blowing, life changing, world peace creating masterpiece. I love the fact that instead of attempting to create something that sounds like the confluence of pop genius the duo crafted an easy, breezy mid tempo tune. Cutie Pie has seen my complete list of 6 favorite MJ songs from 1984 and I believe this is her favorite. And both Sweetie Pie and I also love the ‘short film’ that accompanied the song. 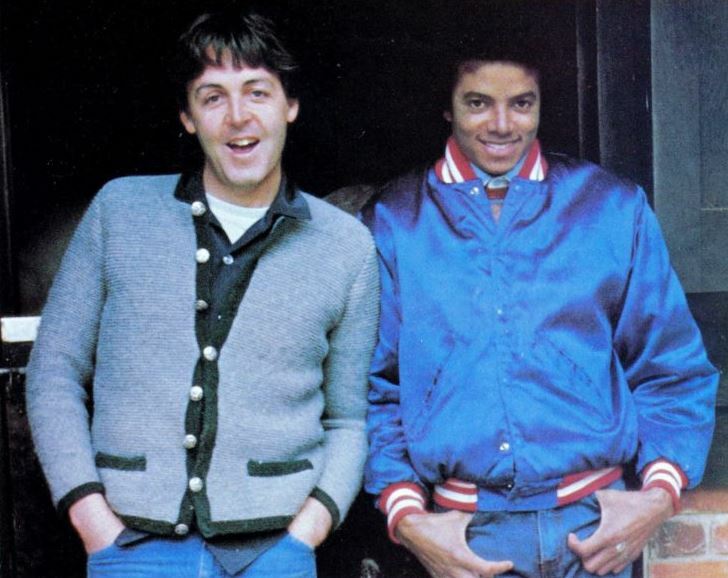 The fact that Paul and Michael allow themselves to be so goofy makes the video feel so extraordinarily cool. In late ’83 and early ’84 I watched this video every chance I could get – and since this was a cross over hit (aka equally loved by people both Black & White) – I was able to see it on Friday Night Videos and Ralph McDaniels’ Video Music Box. Just the Facts: Jackson stayed with Paul and Linda while recording this song. It was during this visit that Paul told Michael about the value of owning song catalogues. Jackson took this advice to heart and mind and later purchased the Beatles catalogue. Favorite Moment: Latoya’s cameo! If casting your sister as a love interest in your music video is wrong, I don’t want to be right. This entry was posted in Michael Jacklson, Number Ones, Tribute and tagged 1980s, 1984, Culture, king of pop, Michael Jackson, Music, Music Video, nostalgia, Number One Song, Paul McCartney, POP CULTURE, Pop Music, Say Say Say on July 1, 2014 by Sean. I still love to hear this song. I think the duets with Michael and Paul were pure gold. Did you do a post on “The Girl is Mine”? Tune!! The Girl is Mine is officially 1982 – believe it or not. I’m trying to be strict and stay within the year – but sometimes I cheat a little. Wow, why did I think the duets were all from the same album?? Thanks for setting me straight! Lol! Actually 1984 was a great year in itself. Plenty of music to talk about already. Reblogged this on the year 1984.